An equal voice for ALL women! You are here: Home / An equal voice for ALL women! Happy International Women’s Day! Today is a day to both celebrate and campaign, praise and protest. Women around the world are achieving extraordinary things in all sorts of areas – but they’re also still disproportionately likely to be victims of serious and systematic discrimination and abuse. Much has been accomplished nationally and globally in combating this, but there is so much still to be done too. One of the most important and effective ways to tackle prejudice is through representation in education; in other words, to prevent it from even starting. 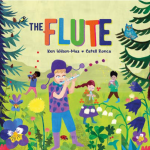 And that can include resources like picture books, which contribute hugely to children’s understanding of the world around them. 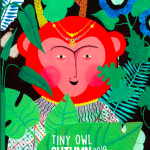 Tiny Owl has published several books that challenge stereotypes about women, and the two that are stunningly enriched by the artwork of Marjan Vafaian – Bijan and Manije and The Parrot and the Merchant – are a wonderful example. 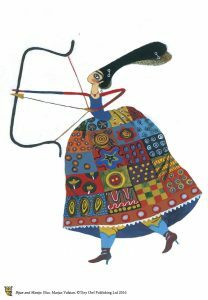 You only have to look at the pictures of Manije practising archery to know that she’s as strong and independent as can be, and isn’t the kind of princess who has to wait to be rescued. 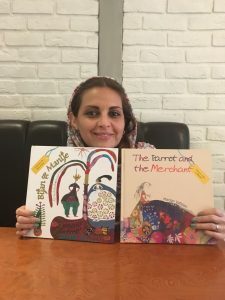 The Merchant is highly successful in her trade – and it was Marjan’s own innovation to change Rumi’s Merchant from a man to a woman. 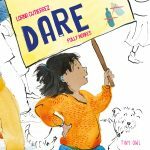 From both of these books, young readers can learn powerful lessons about all the things it can mean to be a woman. 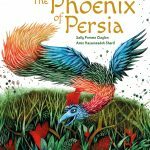 Meanwhile on our side of the bookshelf, Marjan herself is a widely renowned illustrator who has gained awards and exhibitions both in Iran and internationally. Every illustration takes a huge amount of work, and too often it isn’t given the recognition it deserves. Yet in a crowded industry, Marjan has made her own visually gorgeous mark. Today of all days, we think that deserves to be celebrated. At Tiny Owl, therefore, we’re combating prejudice in two ways. Firstly, we’ve always sought to give children favourite characters and role models that are more diverse than mainstream literature, in gender as well as culture. Secondly, we believe in giving the artistic voices of all genders a chance to be heard – because too many marginal voices are still being silenced. And we’re far from the only ones. Check out the #BeBoldForChange campaign hashtag to see more wonderful ways in which people are campaigning for equality for women!